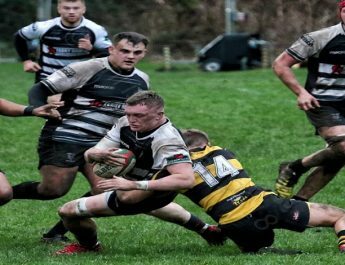 All information contained within this website is provided free of charge and may not be reproduced, republished, copied used or distributed in any way without the previous written consent of Cross Keys RFC. No warranties of any kind either expressed or implied are offered in respect of the information, material, statistics and images provided by this website and any information, material, statistics and images are provided solely for illustrative purposes only. Under no circumstances shall Cross Keys RFC or any of its employees or contractors be liable for any loss of profit and/or consequential damages arising from the use of this website and any information or material contained within it. This website may contain links to other sites provided solely as a convenience to users of this website. You are under no obligation to use these links, but in the event that you choose to use these links you should be aware that any third party site will have separate content, privacy and data policies and Cross Keys RFC offer no endorsement of any third party sites or services. The terms and conditions of use of this website shall at all times be governed by and construed in accordance with the laws of England and Wales and within such jurisdiction. Cross Keys RFC specifically reserve the right to amend, alter or change the terms and conditions contained within this agreement upon 28 days written notice in respect of any services provided by this website which a payment is sought. Changes in terms and conditions including any fees shall only become effective at the conclusion of any period which has been pre-paid.